Effective heating controls are a vital part of an efficient central-heating system. But they are only effective if the end user can understand and use them! Modern controls with wifi and remote control functions are great for people who cope well with technology but there is a sizeable part of the population that can’t. Heating controls manufacturer ESi says it makes huge sense to look more closely at the options and go with the ones with which specific users will feel comfortable. The decision as to which to include in a new build heating installation or in a heating system replacement project is not straightforward, with a wealth of options available and a range of combinations of components that can enable the homeowner to be in control of the heating in their home, available. Clever use of controls can help minimise energy consumption by ensuring each room is at the right temperature for comfort, while avoiding overheating. This will keep your customer’s home cosy and cut their energy bills which is, at the end of the day, what they want from you. The latest wifi controlled options can do a great job, if the user can master the technology and feels comfortable with the new look options. Whilst most boilers these days feature in-built controls that look after the level and flow of heating and hot water, the range of heating controls that can be used around the home has grown to allow you to be in far more control day to day, than was the case a relatively few years ago. The selection of programmers and timers available today are many and varied and range from the simple to the far more complex. It is important to choose the controls you install based on the homeowners who will need to use them. 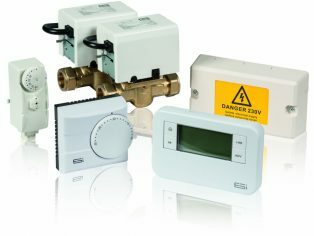 ESi is typical in that it offers a range of programmers from a simple 1 Channel version to a 3 channel Multi-Purpose Programmer which enables the installer to comply with Part L of the Building Regulations by providing separate timed heating control for living and sleeping zones in a home, whilst also providing timed control of hot water. However, the ESi range all offers 24 Hour / 5/2 day and 7 day programming options for each channel. 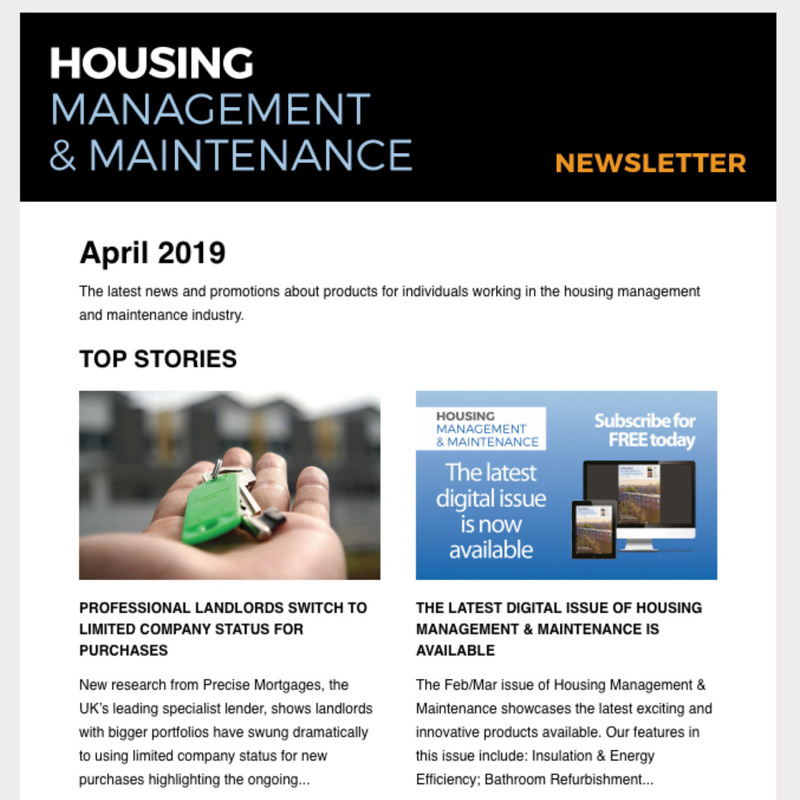 And these programmers also feature a “Landlord” option to encourage social housing and private tenants to allow access for annual maintenance, often a real challenge for landlords. Unless you have a smart system which allows you to control individual radiators in your home, there’s usually only one room thermostat per heating system. It controls the temperature of the whole house based on the temperature of the room it’s in. 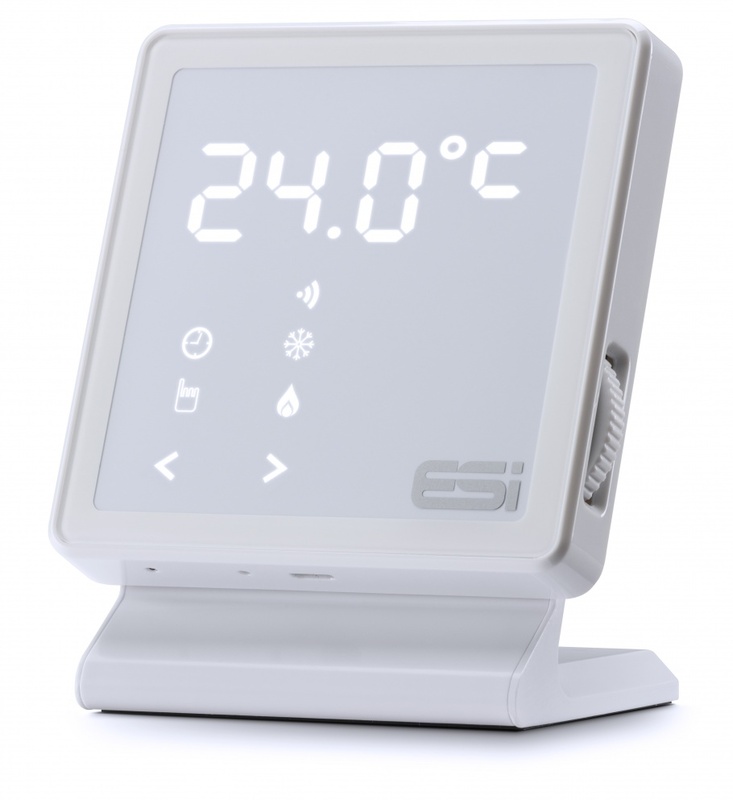 ESi provides a range of programmable room thermostats – both hard wired and wireless models. A room thermostat is best located in the living room or the warmest room in the house. A programmable room thermostat lets the homeowner choose what times they want the heating to be on and what temperature it should reach while it’s on. A seven-day timer makes it possible to set a different heating pattern for each day while 5/2 programming offers different options for weekdays and weekends. ESi’s ESRTP4 model provides true 7 day, 5/2 day or 24-hour programming options, with up to six time and temperature events being available each day. Because these are also available in wireless versions, they can be installed absolutely anywhere in the home. With a large, easy to read LCD display and being extremely simple to use, the ESRTP4 provides genuine saving, as these models have Delayed Start and Optimum Start / Stop and also offer a landlord facility to facilitate annual maintenance. For people who prefer a traditional control dial to push button controls to control changes to heat in a room, the ESi Electronic Room Thermostats offer the simple answer they are looking for. Available with or without an LCD display the homeowner simply has to turn the dial to the desired temperature. Again, either hard wired or wireless options are available. 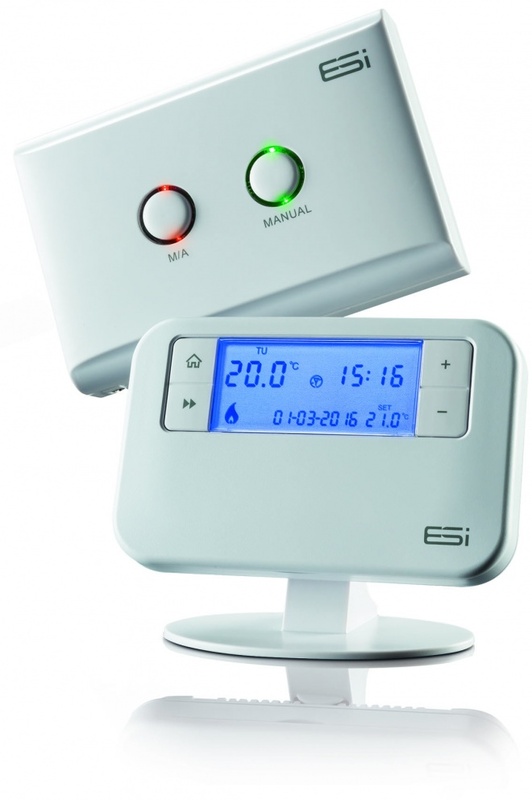 And for people who simply want a standard mechanical room thermostat, ESi offer these as well. It’s horses for courses and there are options for every potential user. For heating systems that have a cylinder for storing hot water, a cylinder thermostat switches on and off the heat supply from the boiler to the hot-water cylinder. It works by sensing the temperature of the water inside the cylinder. It switches on the water heating when the temperature falls below the thermostat setting, and switches it off once the set temperature has been reached. ESi has developed a unique new electronic dual Cylinder Thermostat that is a revolutionary new energy saving product. It is a direct and economical replacement for traditional mechanical dual cylinder thermostats. It offers real safety and energy saving benefits and provides accurate temperature control with a clear and informative LCD display. Hot water can be stored at any temperature between 25 and 65 degrees C. It has the added advantage of a weekly automatic one hour “boost” that can be set at a time that is best for the homeowners. This “boost” lifts the temperature of the water in the cylinder to above 60 degrees C to eradicate any legionella bacteria. 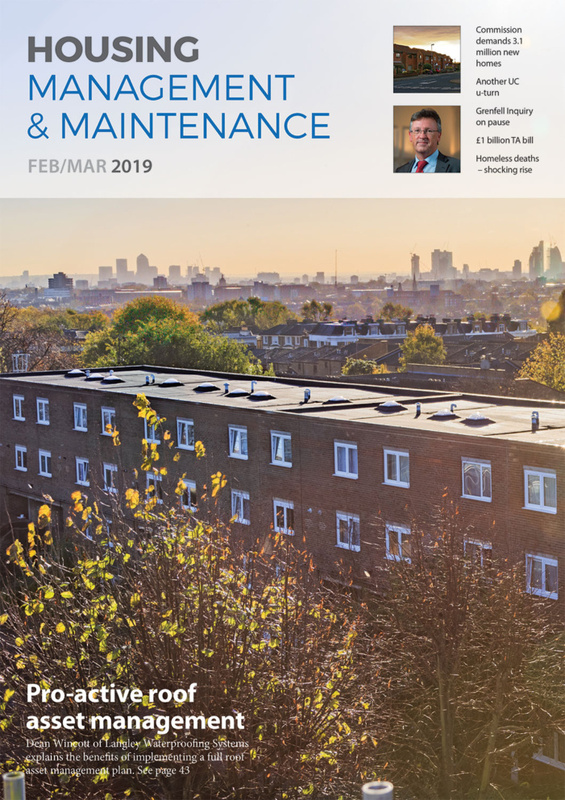 This results in substantial energy saving compared to traditional systems storing the hot water at a constant 60 degrees C.
Most homes in the UK still tend to have a single heating zone – and the only control in the rooms is by thermostatic radiator valves. When a new central-heating system is installed, it’s possible to fit a full zone control that has different pipe loops and separate thermostats for two or more areas. This can save significant amounts of fuel in larger houses. ESi offers a range of zone valves which are a direct replacement for existing valves if they fail. These are very quiet in operation and have minimum power usage. Importantly, they now come with an industry leading five-year warranty. They are easy fit components, with a simple clip on/off detachable actuator head and an option of a ‘plug and play’ cable. At ESi we’re providing installers and specifiers with a new range of quality heating controls that are already being met warmly by a number of new build and social housing providers. We’re introducing easy to use controls with unique features and offering keenly priced replacement units that are proving very attractive through the merchants. Take a closer look at ESi’s offering at www.esicontrols.co.uk.